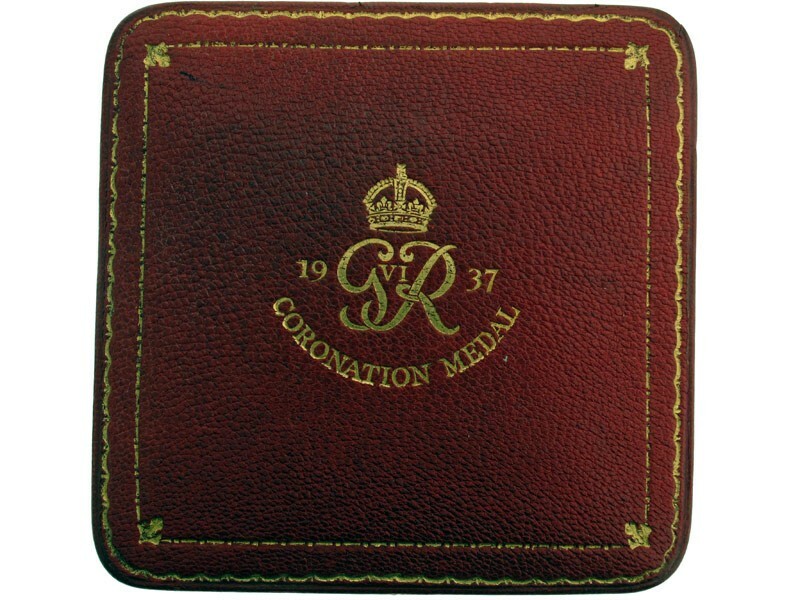 Although a number of medallions were issued, by a number of different issuing houses, for the Coronation of King George VI in 1937, this is the Official, and rare medal struck in solid 22Kt. Gold (silver Official version being fairly common), struck by the British Royal Mint. 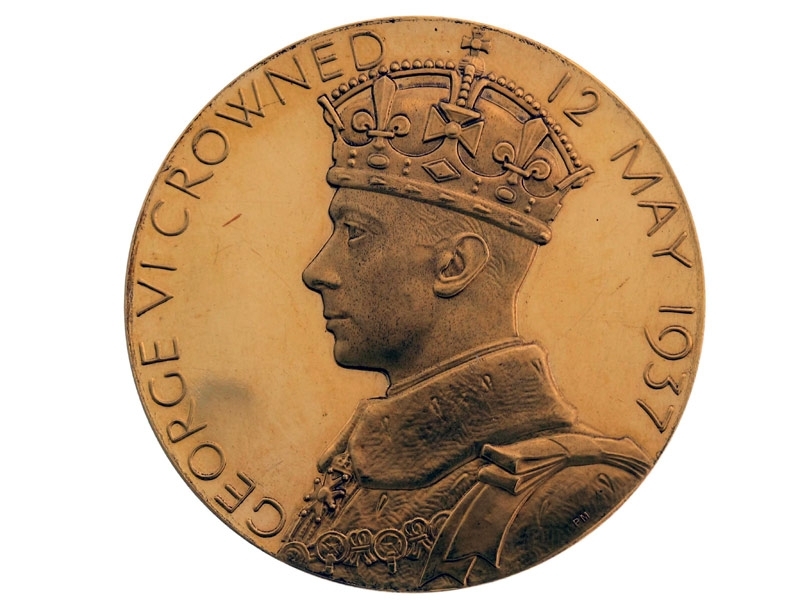 The obverse features a profile portrait of George VI facing right, with the inscription: GEORGE VI CROWNED 12 MAY 1937. 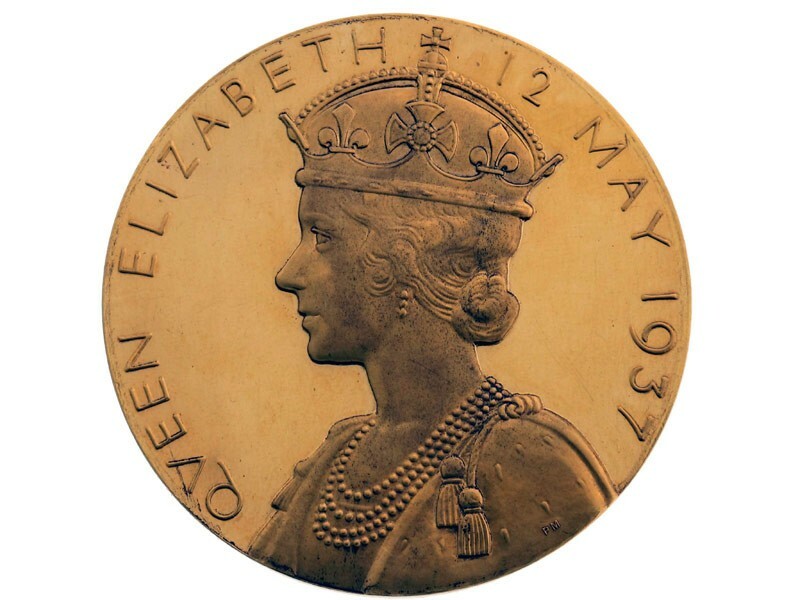 The reverse has a matching portrait, also facing left, of his wife, Queen Elizabeth (Lady Elizabeth Bowes Lyon later to be known as the Queen Mother), and the inscription: QUEEN ELIZABETH 12 MAY 1937. 50 mm in diameter, weighing 121.4 grams, 22ct gold, in mint condition, with case of issue, and rare. 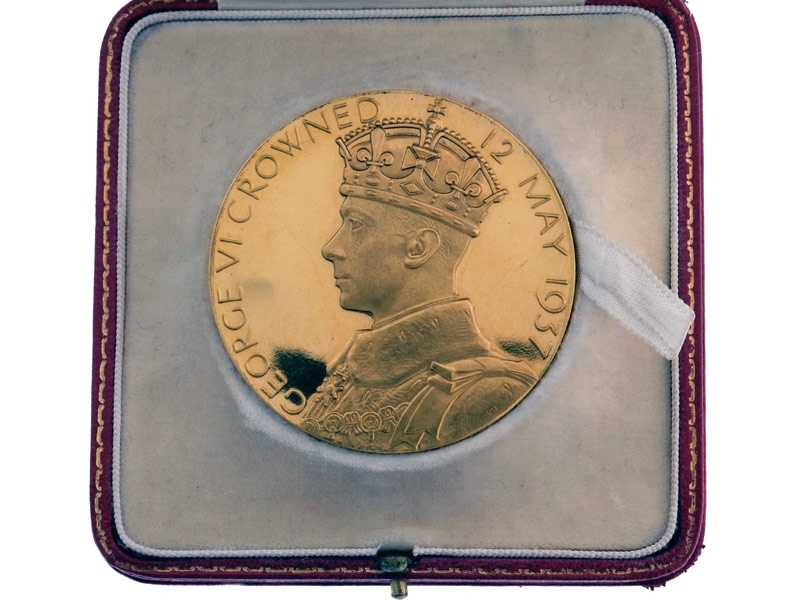 Approximately 150 such gold medals were struck and presented to distinguished dignitaries.